Investing in vegetables is no waste of money at all. They are rich and highly good for your health. 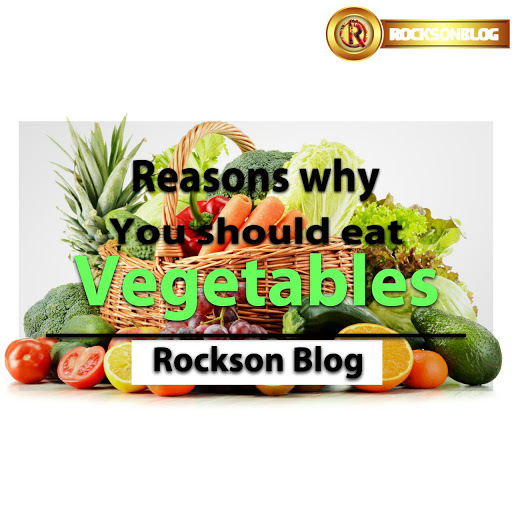 Below are some of the reasons why you should eat vegetables always. Consuming green vegetables woulf help make your teeth and bones stronger. Osteocalcin is found in vitamin k and is excellent for consumption. Vitamin K will not olny develop your bones but also help in fighting osteoporosis. Vegetables contain antioxidants. they are a good source of vitamin E and C. This would help your skin become free from disorder and further make you maintain a flawless and glowing skin. Green vegetable area goof source of water, they could help keep your body hydrated.You could replace drinking too much water during summer with vegetables. When you take vegetables you are able to promote your eyesight, this is as a result of the presence of vitamin A. Eating lots of fresh vegetables would of cause save you the stress of carrying a spectacle on your nose. When your level of hemoglobin is low it means that htere is drastic reduction in iron. Vegatables are a good source of iron, they aid hair growth and increase hemoglobin in the body. When you replace vegetables with juncks, it helps you stay healthy and maitain good weight.Vegetable are not rich source of fat, they are basically low in carbohydrates or fat. I f you plan on watching your weght, add vegetables to your food plan. Vegetables are rich source of magnesium. They help to to keep your health in check. When you have deficciency in magnessium it could lead to health issues such as heart disease, anxiety, muscle cramps and many more.